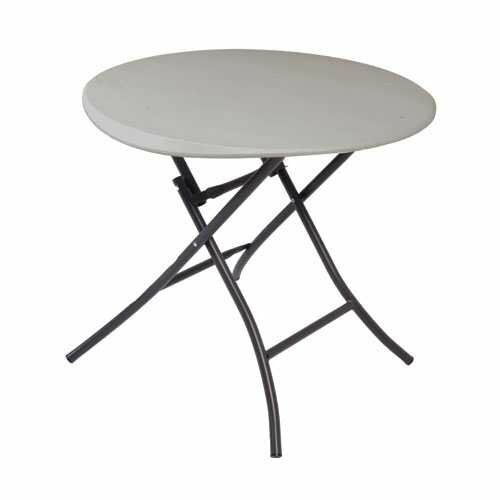 Lifetime round folding table features that little extra table top space, and can create a perfect area for crafts, working on projects or entertaining. It has a convenient, lightweight design matched with the strength and durability that lifetime tables are known for. Creating the perfect set-up for a cocktail party, work event or family gathering is a cinch with its smooth, single-motion folding action. So get creative with your extra space and enjoy the simplicity and convenience of the lifetime 33-inch folding table.